Shamily Sukumar a beautiful and talented actress started her career at the age 20. Who is working in Tamil Film and Television industry. 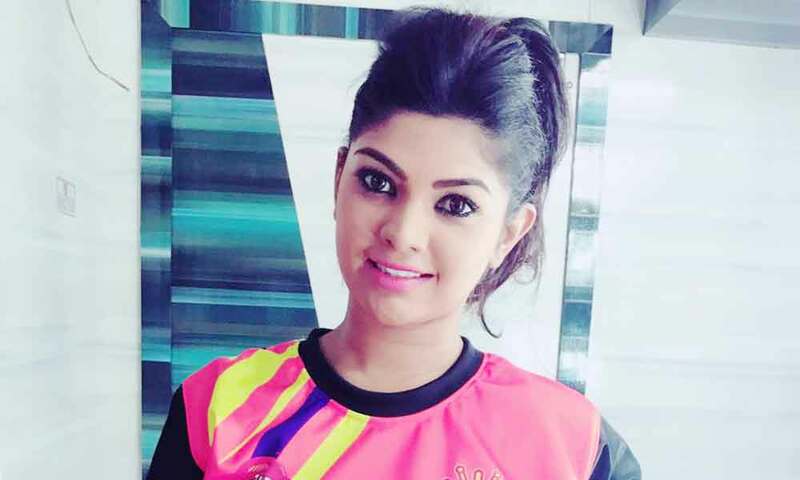 She was born on 10th May 1991 in Chennai, Tamil Nadu. Shamili made her acting debut in the Tamil television serial “Thendral” along with Deepak Dinkar, directed by S.Kumaran and produced by Vikatan Televistas Pvt Ltd. She also acted with popular actors like Vishwa, Senthil Kumar, Stalin, Vishnu Kumar, Amit Bhargav and Arnav. She has appeared in some well known television serials such as Thendral, Uthiripookkal, Siva Ragasiyam and Pasamalar. 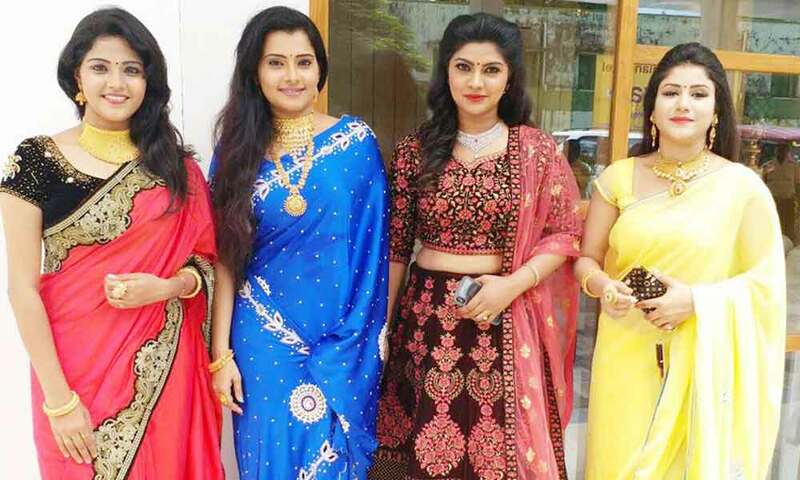 Shyamili Sukumar worked with some of the top names of that time like Shamili in “Jeeva” along with Vishnu Vishal, Sri Divya, Soori and Jeeva Ravi. Shamili currently doing the negative role in Roja serial along with Sibbu Suren in Sun TV and Poove Poochudava serial along with Madhan Pandian in Zee Tamil. Shyamilli Sukumar as Tejaswini (Teju) role in Vani Rani serial. 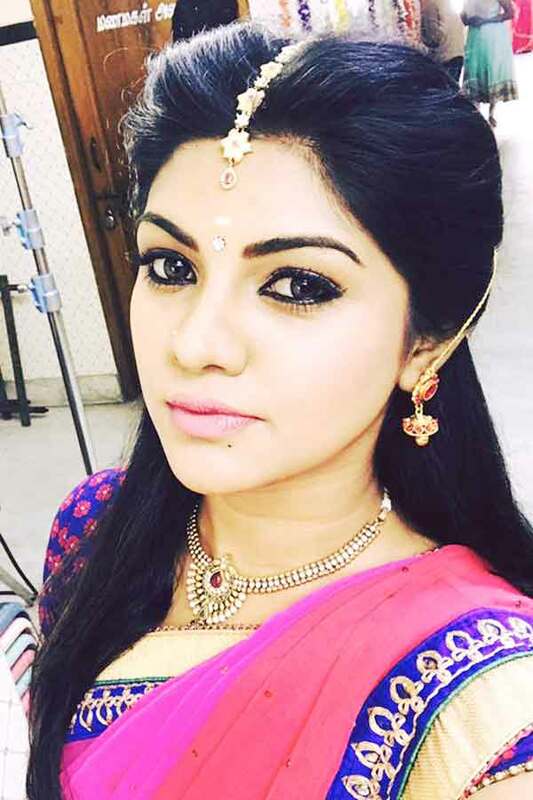 Shyamili Sukumar as Mallika role in Pasamalar serial. Shyamili Sukumar as Revathi role in Ponnunjal serial. Shamili as Princess Kalaivani role in Romapuri Pandian serial. Shamili as Shamili role in Valli serial. Shamili Sukumar as Indhulekha (indhu) role in Pencil movie. Shamili as Shalu role in Mappillai serial. Shamili Sukumar as Priya/Fake Anu role in Roja serial. 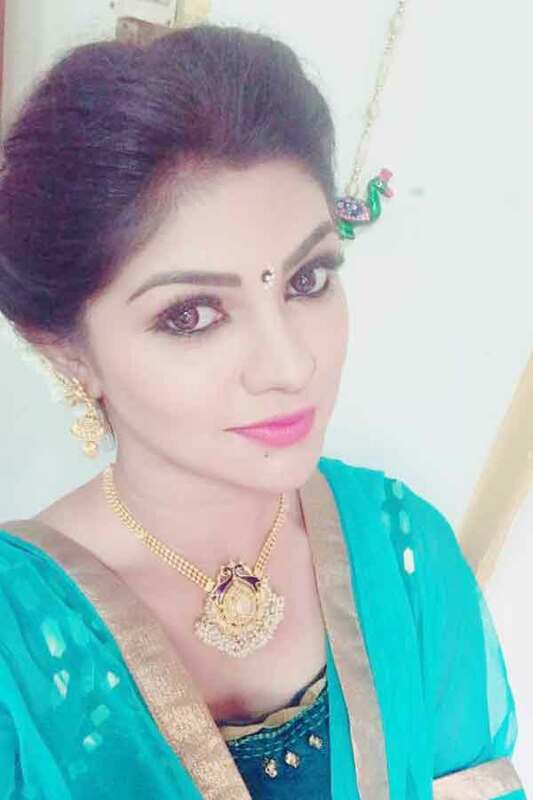 Thendral, Bhairavi Aavigalukku Priyamanaval, Valli, Ponnunjal, Uthiri Pookal, Vamsam, Pasamalar, Vani Rani, Saravanan Meenatchi, Office, Mappillai, Nalla Neram, Siva Ragasiyam, Priyasaki, Romapuri Pandian, Mahabharatham, Poove Poochudava, Roja.